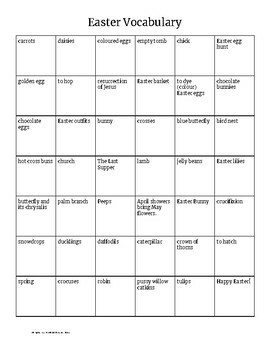 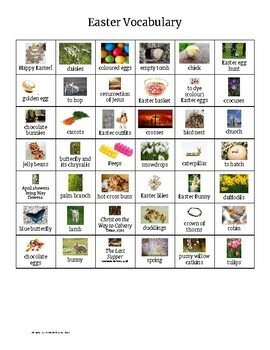 ESL/TEFL Easter Vocabulary is a companion piece to Pass the Baton's Easter Bingo listing. 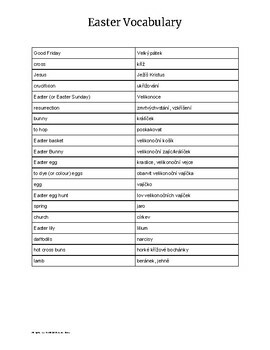 It includes one pictorial vocabulary chart of 42 spring and Easter words (the same words and photos used on the bingo boards), one word-only chart with space for ESL/TEFL students to write in the translation of the word in their mother tongue, and one English-to-Czech Easter vocabulary chart. 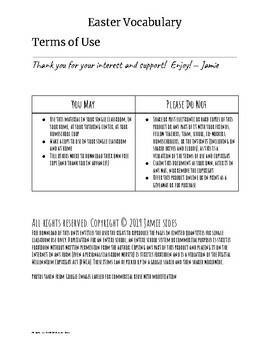 *This product uses British spelling — for example, "coloured."